Thursday the 4th of February is World Cancer Day and, as it happens, 2016 is also the official International Year of Pulses. But what does cancer have to do with pulses and legumes? According to research, eating pulses and legumes (i.e. beans, chickpeas, lentils, peanuts, soy, alfalfa, etc.) can help prevent the development of polyps in the bowel and consequently, bowel cancer. What is bowel cancer, exactly? Professor Graham Newstead -- colorectal surgeon and Bowel Cancer Australia director -- explained that bowel cancer grows from the inner lining of the bowel and usually develops as a result of polyps, which are abnormal growths on the bowel. If these polyps are left untreated, bowel cancer can grow into the deeper layers of the bowel wall and consequently spread to the lymph nodes. “[What happens with bowel cancer] is that when one cell is defective, the cells keep dividing,” Professor Newstead told The Huffington Post Australia. “And eventually they become so aberrant and abnormal in their division that they then become premalignant and malignant, and have the propensity to spread beyond the basement membrane on which they sit. Bowel cancer is the second most common cancer in Australia, with around one in 10 men and one in 15 women developing the cancer in their lifetime. “We get about just over 15,000 cases of bowel cancer in Australia every year, and we have just under 4000 deaths a year,” Professor Newstead explained. While about 40 percent of men and 30 percent of women will get polyps in their lifetime, the vast majority of polyps do not turn into cancer, according to Professor Newstead. However, what we eat can have an impact on the development of bowel cancer. 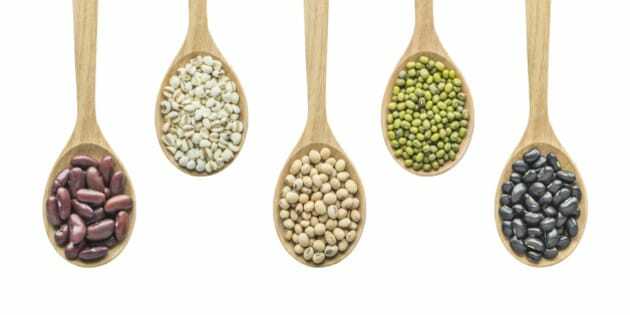 One study showed that a higher consumption of high fibre foods, such as pulses and legumes, was associated with a decreased risk of rectal/colon polyps. “Much research has shown that eating a diet rich in fibre can help reduce the risk of developing bowel cancer in a couple of ways, ”Julie Meek, accredited practising dietitian and Bowel Cancer Australia ambassador told HuffPost Australia. “When we eat fibre in our diets, the fibre increases the bulk of our stools which helps our food pass through our intestinal tract more quickly." “As the fibre makes its way through our bowel, it is fermented by bacteria (it sounds awful but is actually very good for us!) and produces short chain fatty acids which are thought to protect against bowel cancer,” Meek explained. Aside from assisting in the prevention of bowel cancer, the health health benefits of pulses/legumes are varied and many. Pulses/legumes are also an easy and cheap way of adding protein to a meal, as well as a great way to sneak in extra vegetables. “They also contain iron, folate and antioxidants and they are super low in fat,” Meek said. So how can we incorporate these pulses and legumes into our diets? 7. Use legumes such as red kidney beans, chickpeas, 4 bean mix, red lentils along with other vegetables of your choice as a salad base with lemon juice, oil, parsley and cracked pepper.